So what exactly was discussed? Well Andrew went on to explain what you can expect from the upcoming Ultimate Edition Blu-ray release of Fullmetal Alchemist as well as reveal the contents of the much rumoured Escaflowne: Ultimate Edition. In addition to these ‘hot products’ Andrew announcement that Anime Limited would be releasing Ouran Highschool Host Club and a collection of shorts by Production I.G. onto Blu-ray at some point in the near future. The panel began with a recap on what to expect from the Ultimate Edition of Fullmetal Alchemist; a set which will contain the entire 51 episode original series in High Definition with English and Japanese audio tracks that is packed inside a unique resin packaging (i.e. the Gate of Truth). 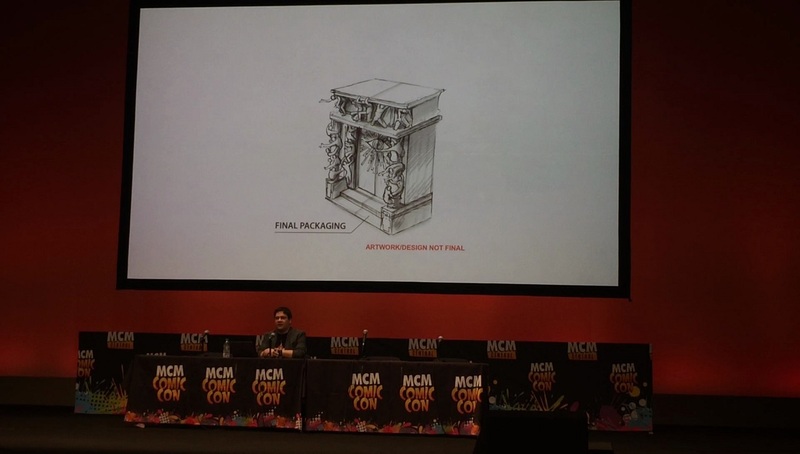 Andrew went on to explain that the Gate of Truth box will house the two individual Collector’s Edition sets, both of which will be released seperately in the near future, as well an artbook featuring all sorts of information and unique artwork. As it stands over 60% of stock has been sold and once the allocation has been met no more sets will be made; you can currently pre-order the set from Zavvi and Anime Limited’s online shop. Unique packaging: Impressive replica of “The Gate” from Fullmetal Alchemist – made from Resin and limited to 970 in the world! Two Rigid Cases and digipacks containing the original full series, available on Blu-Ray in the UK for the first time. Each case contains 7 art cards from the series too making a total of 14 cards. Artbook: 260 page large sized artwork artbook (26cm x 26cm) shipped along with the Gate in a custom mailing box. Pre-order bonus: Enrolment into the Amestris Army as a State Alchemist, with certificate for the buyer with their name and alchemist title as assigned by King Bradley showing their serial number for the release too. (Pre-order bonus offer concludes 1st October). Anime Limited’s Escaflowne license has been one of great mystery; for starters other than announcing plans to release it on Blu-ray no other details were revealed and when FUNimation announced a Kickstarter campaign for a New English Dub version of the show then things got even more complicated. Well at the panel Andrew Partridge went on to reveal what they had in store for the series and it’s better than anyone could have been expecting. For starters Anime Limited will release Escaflowne as an Ultimate Edition Blu-ray set and this set will contain the original TV Series, the stand-a-lone movie (which has not been released in the UK before), a soundtrack CD collection (which consists of all three individual volumes) and an artbook featuring all sorts of artwork and information about the characters within the franchise. Each piece of content, the TV Series, the film and the soundtrack CD collection, will be placed inside it’s own rigid digipack box with all three pieces sliding into the main box itself. Details on how exactly this work have not been provided; but the promotional shot shown at MCM Manchester Comic Con, and on the Anime Limited shop, gives off an impressive vibe. That’s not all either; as also included will be the ‘Directors Cut’ variations of episodes from the TV Series as well as a wide-selection of bonus disc content for both the film and TV Series – with the disc themselves mastered in house by Anime Limited and Justin Sevakis. So what audio options will be included? Well this Ultimate Edition release of Escaflowne will contain Japanese audio with English subtitles, the original English Dub produced by Bandai Entertainment and the new English Dub that is being produced by FUNimation Entertainment. The TV Series: For the first time on Blu-ray in the UK, the complete TV series (26 episodes), Broadcast Version. Presented with the original Japanese language audio with English subtitles as well as the original Bandai English dub and the 2016 Funimation produced English dub. Also included is the director’s cut version of episodes* (6 total) from the TV series The Vision of Escaflowne. Presented with the original Japanese audio with English subtitles and the new 2016 Funimation produced English language dub. 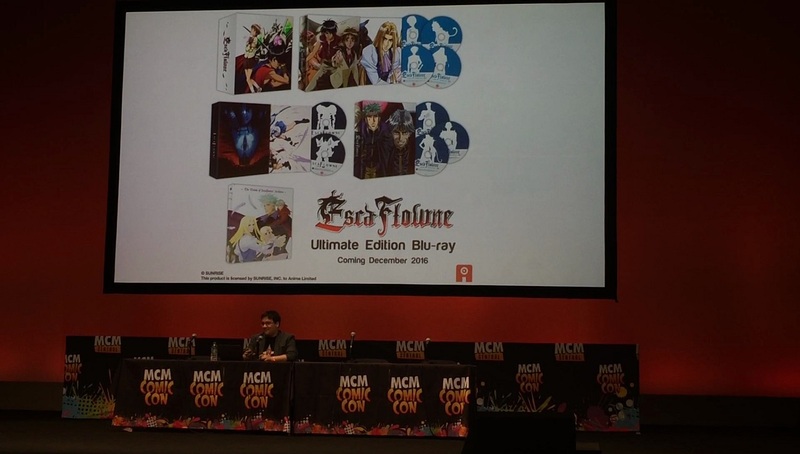 The Movie: For the first-time ever in the UK, Escaflowne: The Movie! Presented with the Original Japanese language audio with English subtitles as well as the original Bandai English dub and the new 2016 Funimation produced English dub. Soundtrack & Artbook: Finally; inside this amazing collection, and for the first time ever, we have the soundtrack collection consisting of Volumes 1 – 3, as well as a 144 artbook that features a variety of character artwork and character designs. Originally released onto DVD by Manga Entertainment, and featuring an English Dub produced by FUNimation Entertainment; Anime Limited will be releasing Ouran Highschool Host Club as a Collector’s Edition Blu-ray release later this year. Details for this particular release are scarce but considering Anime Limited use the american trailer to promote the release then we could expect the same disc content from the previous American Blu-ray release, which has now since become relatively difficult to find – even the Anime Classics edition. The Production I.G. Shorts Collection is an upcoming Blu-ray, and potentially DVD, release that will see a variety of animated shorts produced by Production I.G. released into the UK; majority of which will be subtitled only. Andrew Partridge went on to explain that the collection will contain Pigtails, Kick-Heart, Anime Mirai and Oval x Over with more to be confirmed in the coming months. Furthermore Oval X Over has never been released outside of Japan; to which Andrew is extremely proud to have as part of this upcoming colleciton. While new license announcements may have been in short supply, with only Ouran Highschool Host Club and the Production I.G. shorts being announced, Anime Limited did provide extensive details on what to expect from the upcoming Ultimate Edition Blu-ray releases of Fullmetal Alchemist and Escaflowne; both of which are available to pre-order from Anime Limited online shop. 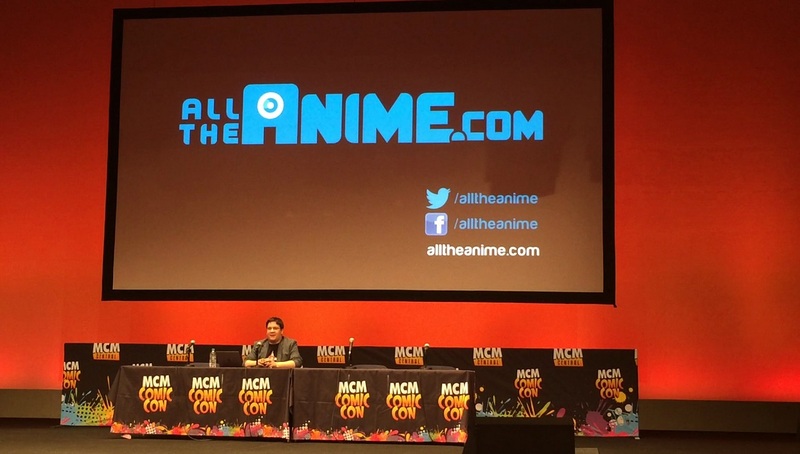 All of the details announced at the panel, as well as trailers for Fullmetal Alchemist, Ouran Highschool Host Club and Pigtails, can be seen in our video coverage of Anime Limited’s panel below.